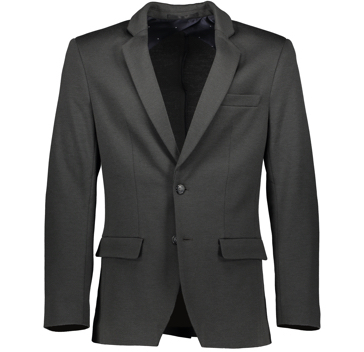 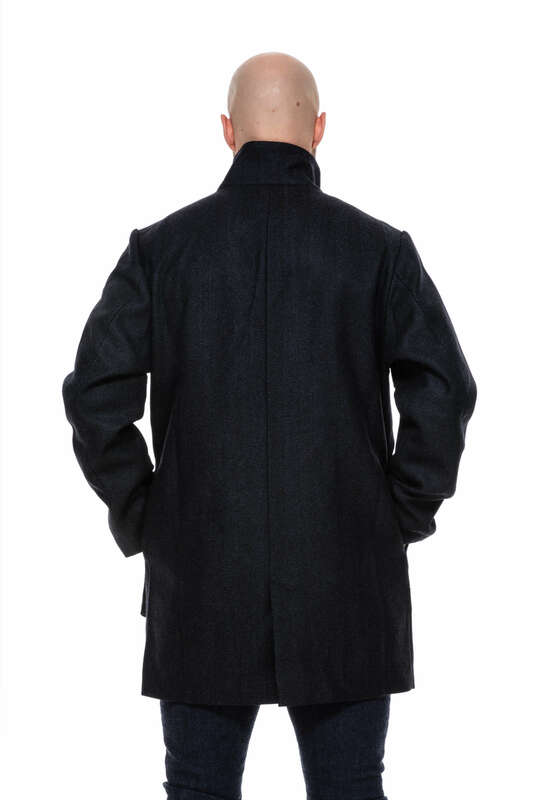 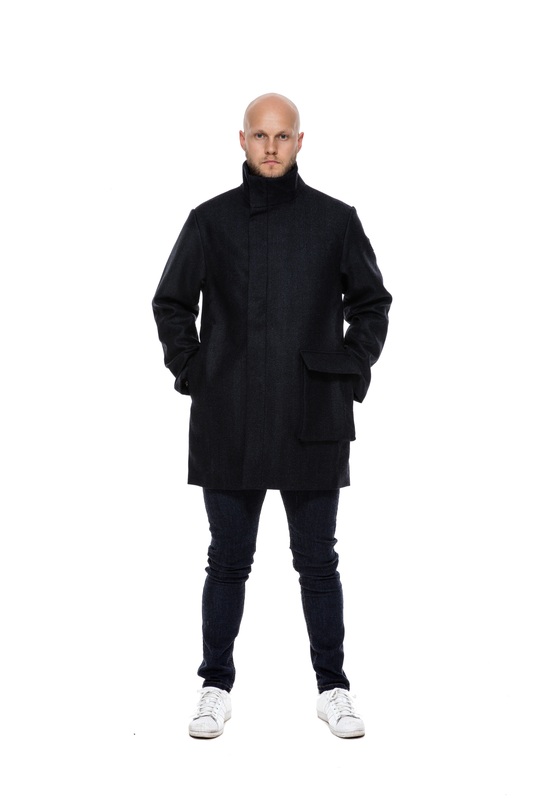 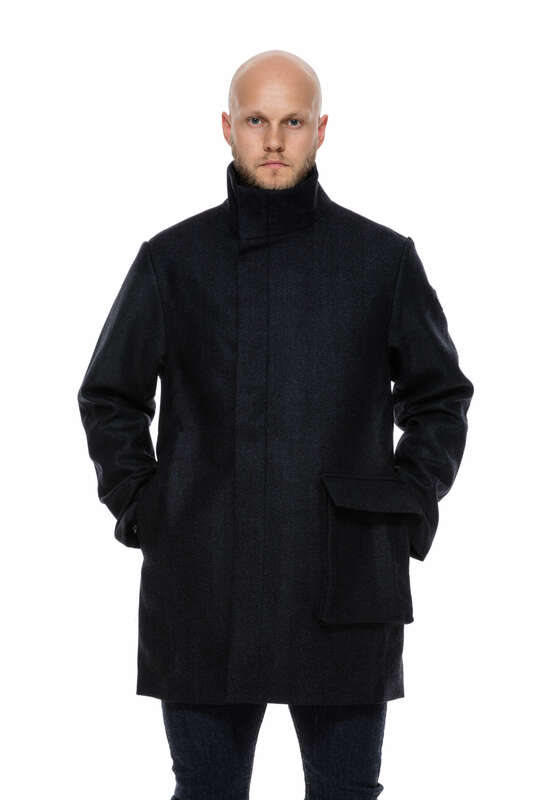 Wool overcoat is an essential item for every man. 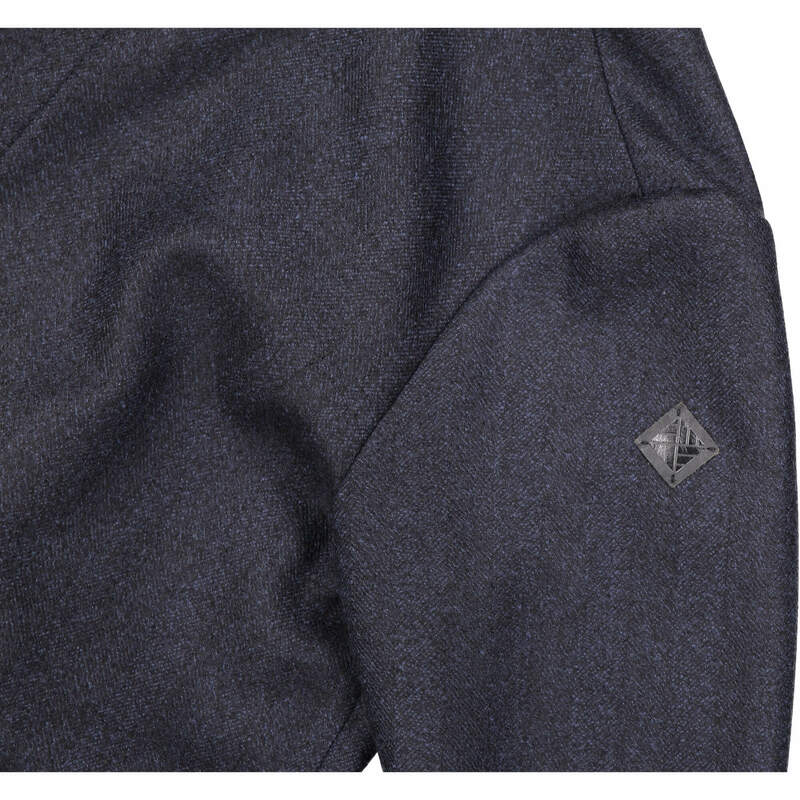 This version comes in 100% midnight blue merino wool fabric with an ageless yet contemporary design. 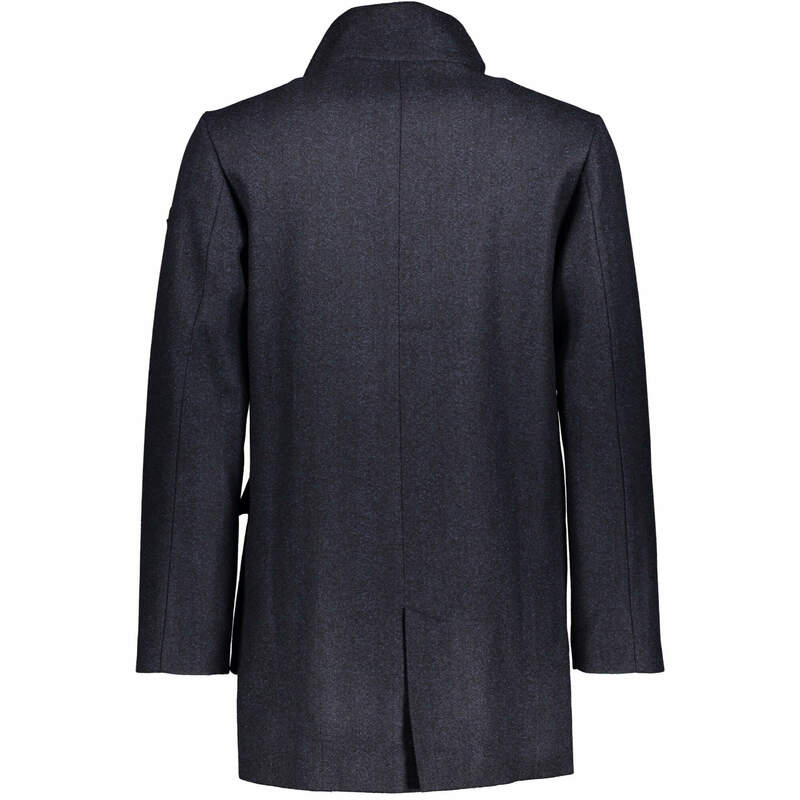 It’s expertly cut and has a large side pocket that can easily fit an iPad. 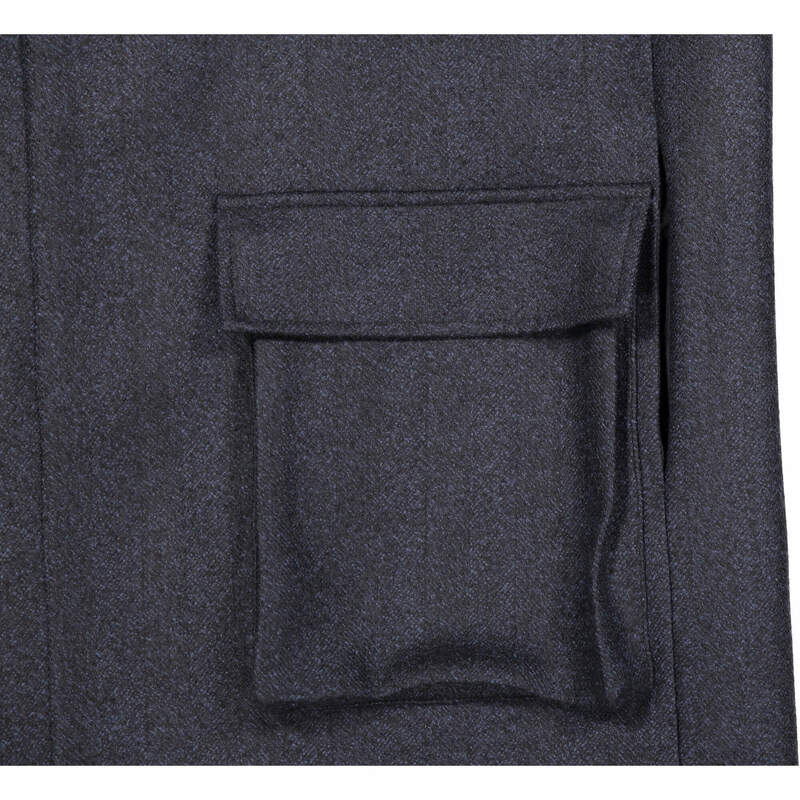 There are also two smaller pockets on the side seams for smaller items and your hands when it’s freezing cold and you forgot your gloves at home. 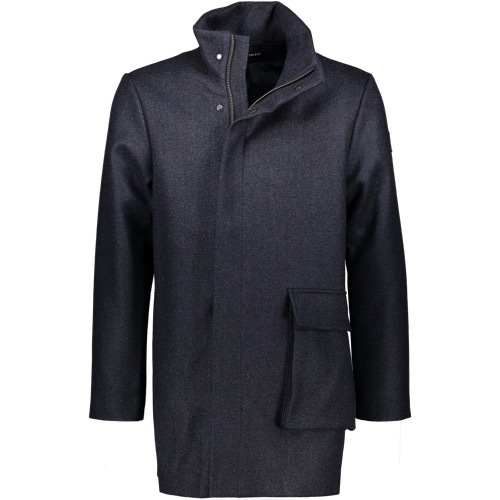 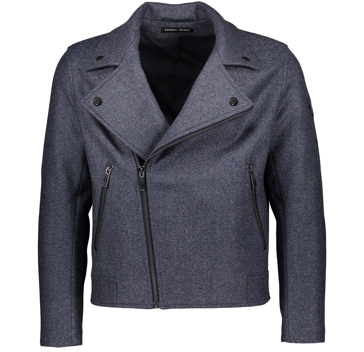 Slightly oversized collar and asymmetric design add character.